The majority of cyclists in London that use the new Cycle Super Highways are riding no quicker than 20mph, so says a new report conducted by regulators Transport for London. 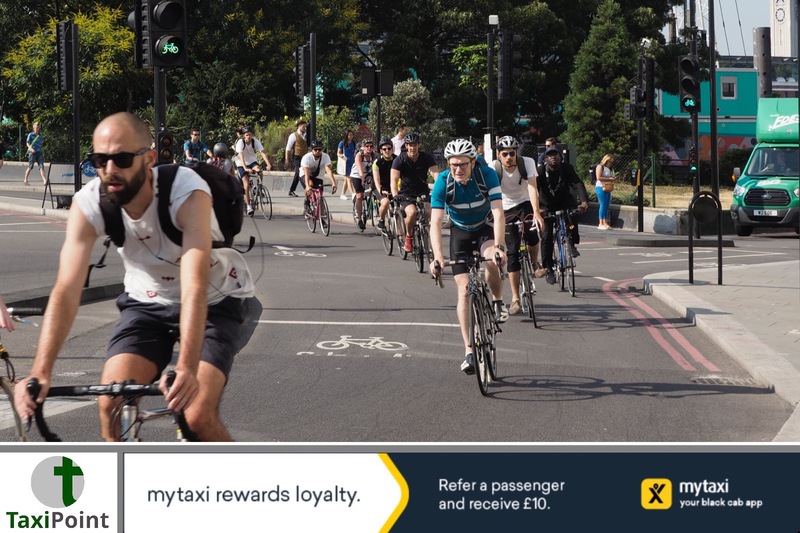 At first glance this would come as a shock to motorists sharing the road space with lightweight carbon-fibre bikes with middle-class men dressed in Lyrca trying to break personal records along the Embankment and around Regents Park. It would also leave pedestrians perplexed as they wait to cross at most zebra crossings with cyclists seemingly unable to find their brakes. Throw in the inclusion of hard-working risk-taking couriers who seem to favour fixed gear bikes, which can reach speeds upwards of 40mph, and most car owners are left scratching their heads as to why they would need such bikes if they are only travelling at 10mph? The Cycle Infrastructure Monitoring report released by TfL was created to promote the perceived success of the Cycle Super Highways (CSH) littering the capital’s streets and bringing London’s roads to a grinding smog ridden halt. Video analysis and automatic counters were placed on carefully selected narrow sections of the CSH where riders can only go as fast as the cyclist in front of them. In fact, 55% of cyclists were riding at a leisurely 10-15mph, 30% found second gear travelling at 16-20mph and only 4% were testing the speed camaras with speeds above 20mph. So what does this report prove? It does prove that most CSH riders travel under 20mph and that most to stop when instructed to.What it doesn’t prove is the shenanigans that go on outside of the lanes and in surrounding roads as Michael Smith from Highgate try’s to replicate Bradley Wiggins on his way to work. As seen by motorists on a daily basis, those cyclists held up and wanting to go quicker than their fellow riders plodding along on a “Boris bike” will eventually leave the multi-million pound CSH and take to the road. These riders are not included in the report. Many cyclists stay away from the CSH altogether in a bid for freedom to take quicker moving routes away from the slower riders hampering their times. This report is a pat on the back to those law abiding riders who are in no rush using the lanes on a warm sunny day. What this report doesn’t do is reflect the whole picture on London’s streets away from TfL’s showpiece disaster.